So winter has really come, only a high of 26F or about -3C today and by Saturday even colder. Have I mentioned lately I don't like winter? :-) I am dreaming of warmer days and looking at images of warmer days. I got this image on a lovely warm day. 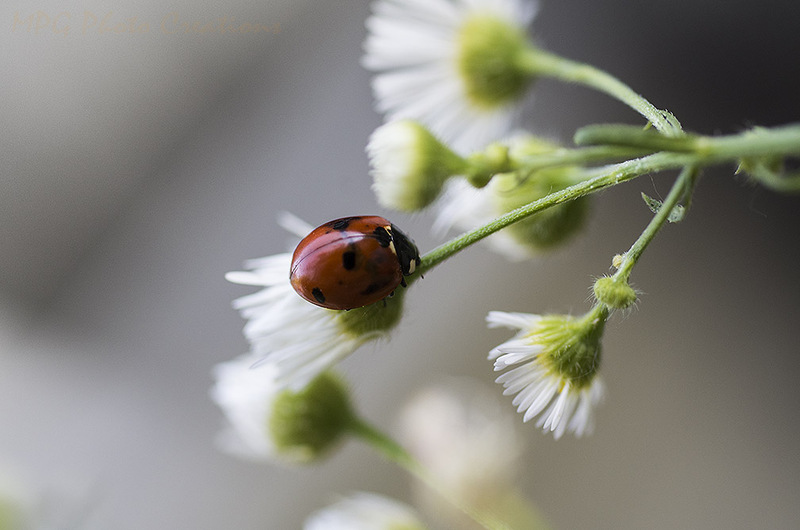 This Ladybug was looking for aphids on these Daisy Fleabanes and I was able to get a shot when it sat still for a moment.